In British Columbia, Extended Producer Responsibility (EPR) (formerly referred to as Industry Product Stewardship) is an environmental policy approach in which the producer's responsibility for reducing environmental impact and managing the product is extended across the whole life cycle of the product, from selection of materials and design to its end-of-life. (Ministry of Environment). Brewers Distributors Ltd. (BDL), which operates the stewardship program for refillable glass beer and cider bottles and all beverage alcohol sold in cans, is in the process of renewing its Schedule 1 stewardship plan for the period 2015 - 2019. The draft plan renewal is posted for public comment from now until December 1, 2014 and can be found at:www.EnviroBeerBC.com/reports-links/. The public consultations are being held in conjunction with Call2Recycle, Recycle My Cell and Switch the ‘Stat. Further information and registration details can be found atwww.EnviroBeerBC.com/reports-links/. All twelve of B.C. 's existing stewardship agencies have partnered to produce an informational handbook. British Columbia's Recycling Handbook provides valuable information about all products that fall under the Recycling Regulation. 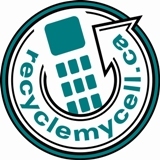 It identifies the stewards, the products, any fees that may apply, what products are recycled into, contact information, and most importantly where to take products to ensure they are recycled responsibly. A flipbook web version or pdf file can be accessed here.